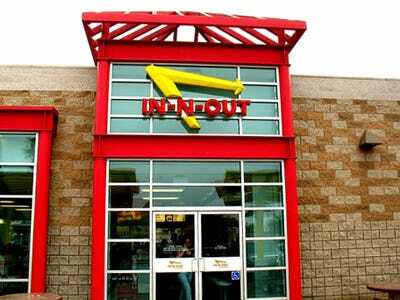 In-And-Out Burger prides itself on being a better fast food chain. Employees start at a higher-than-average salary and even have the opportunity to advance to make $120,000, according to a recent report from the Orange County Register. The median pay for food service managers across restaurants nationwide is about $48,000 per year. The man said he started out at $10 an hour but quickly moved his way up to $12.50 and will get another raise soon. But he said he had his eye on a more prestigious management position with a big pay-out. But the employee warned that everyone starts at the bottom of the hierarchy. “You don’t start out cooking burgers actually you start at the bottom with a towel in your hand wiping down tables before you can even cook a burger,” he said.